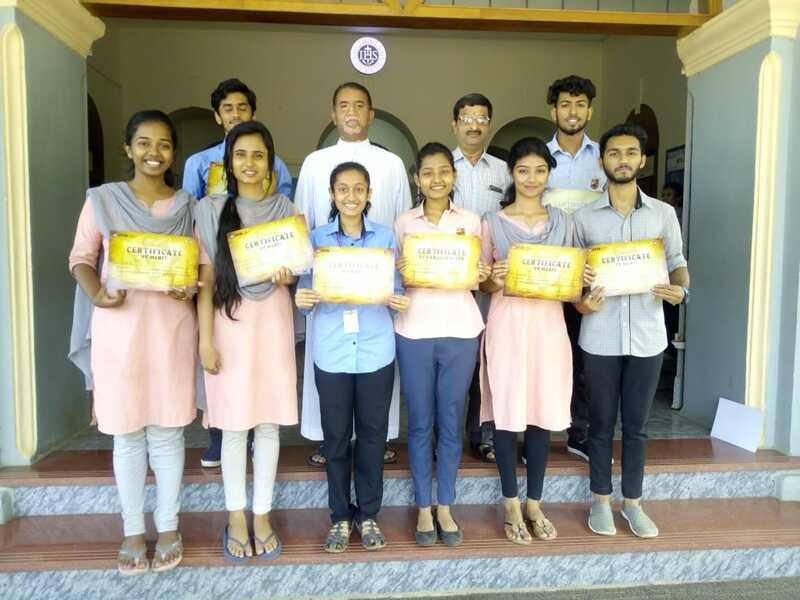 Our students won the I Place in the Skit Competition organized by the Mangalore District Administration. The event was held on 11 July 2018 in connection with the celebration of World Population Day 2018. The participants were: Ashwini Hoode Maithri Umesh, II, Nagesh II BCA, Alister Leon, I BCA, Aseema D, I B.Sc., Abhishek Tampi, I B.Com. Shravan, II BCA, Yesudas Prajwal, I BA, Anoop Beven D‘Cunha, I BCA. In the Annual Training Camp of NCC Air Wing organized by Alva’s College, Moodbidri in July Cdt Abhishek Upadhyaya, I B.Sc. won the I Prize in Theory Test on Health and Hygiene, Cdt Bhoomika won the II Prize in Shooting Competition. NCC Air Wing Troop won the I Prize in Tent Pitching Competition. In the National Level Intercollegiate Fest “Rendezvous 2K18” organized by Sarosh Institute of Hotel Administration on 11 August 2018, Adithya Ullal, II B.Sc. secured I Place in Photography, Manjunath Shetty, Shika, Rupal D'souza, Vishnu Vivek and Nithin of II B.Sc. secured I Place in Variety, Binu Joseph, II B.Sc. and Jason Sequeira, III B.Sc. secured II Place in Quiz. In the intercollegiate Statistical Fest ‘Anvesha 2018’ orgnaised by the Department of Statistics, Manipal University on 11 August 2018, Deekshith Shetty, II B.Sc. and Deepthi R, II B.Com. 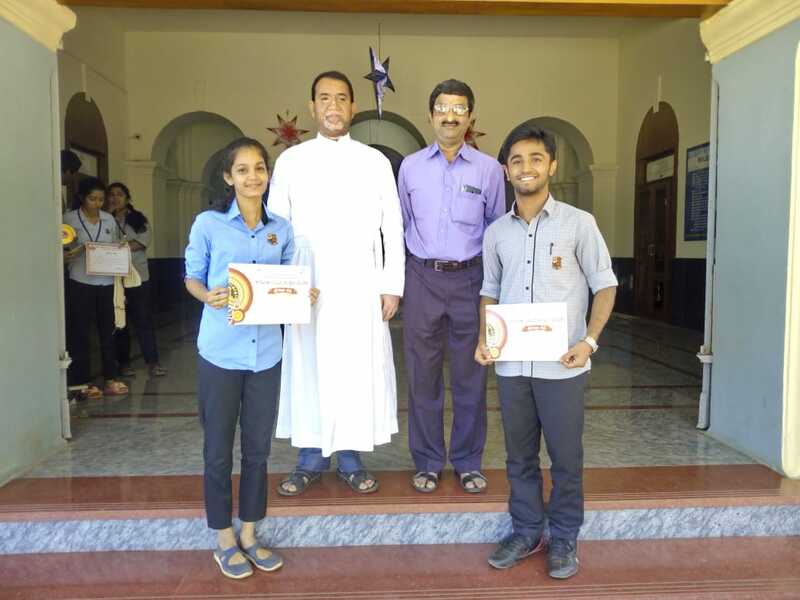 secured II Place in Potpourri, Arisha Abdul Aziz and Deekshith Shetty, II B.Sc. won the I place in Analytics, Gladson Toney and Harsha Haridas, II B.Sc. secured II Place in Analytics, Gladson Toney and Deekshith Shetty, II B.Sc. secured II Place in Report Presentation and Shaba Tabassum, II B.Sc. secured II Place in Extempore. 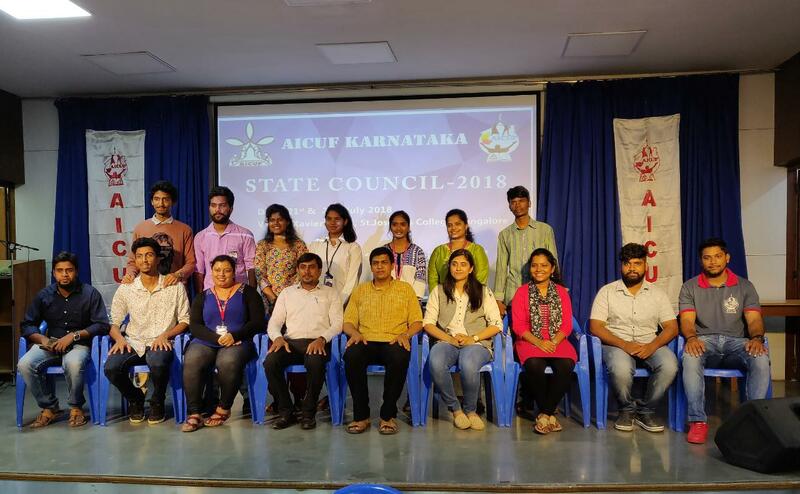 Our College AICUF Unit won the Best Unit Award in the State in July 2018. 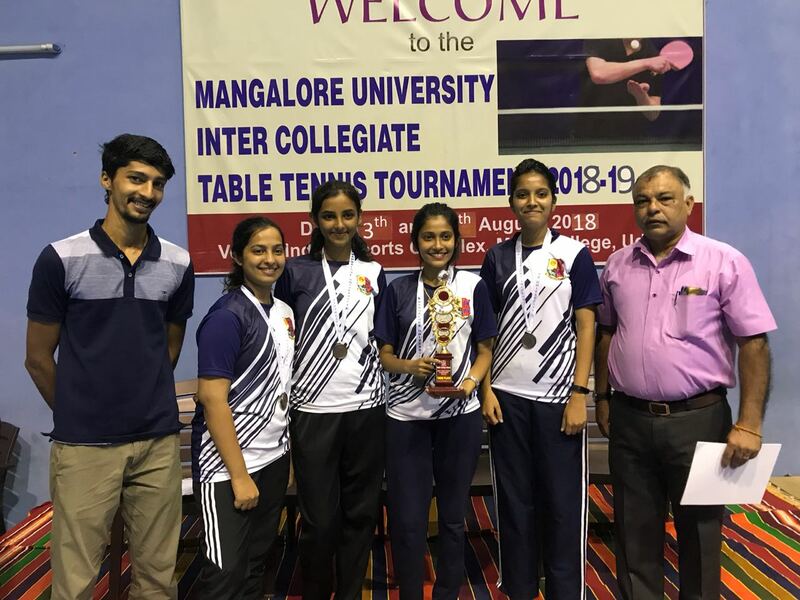 Our students secured III Place in the Mangalore University Intercollegiate Table Tennis Tournament for Women organised by MGM College, Udupi. 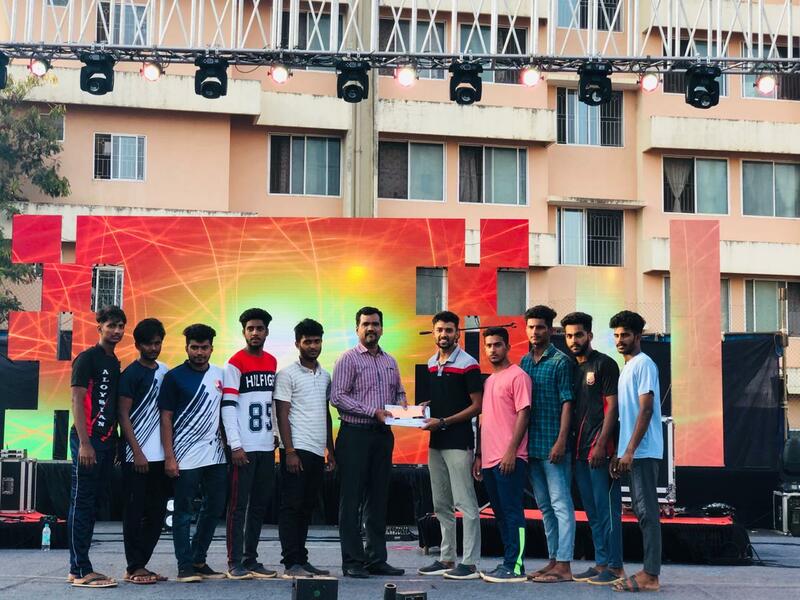 Our BCom students were teh Overall winners in Genesis 2k18 orgnaised by SDM College, Mangaluru. 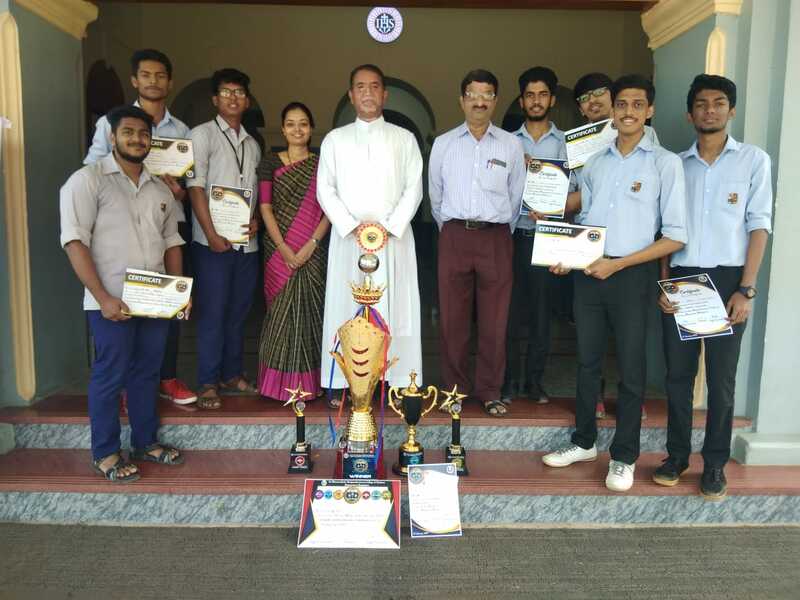 Our BBA students won several prizes in Genesis 2k18 orgnaised by SDM College, Mangaluru. 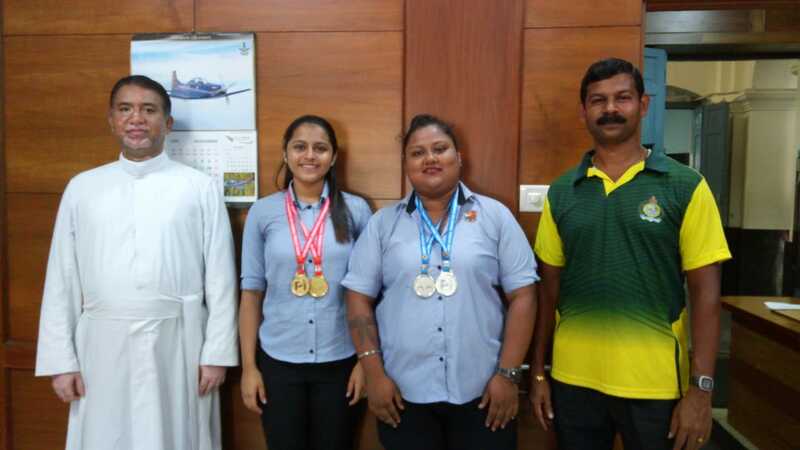 Our Women Swimming Team were the Champions and Men Swimming Team won the III Place in the Mangalore University Intercollegiate Swimming Championship orgnaised by GFGC, Carstreet, Mangaluru on 30 August 2018. 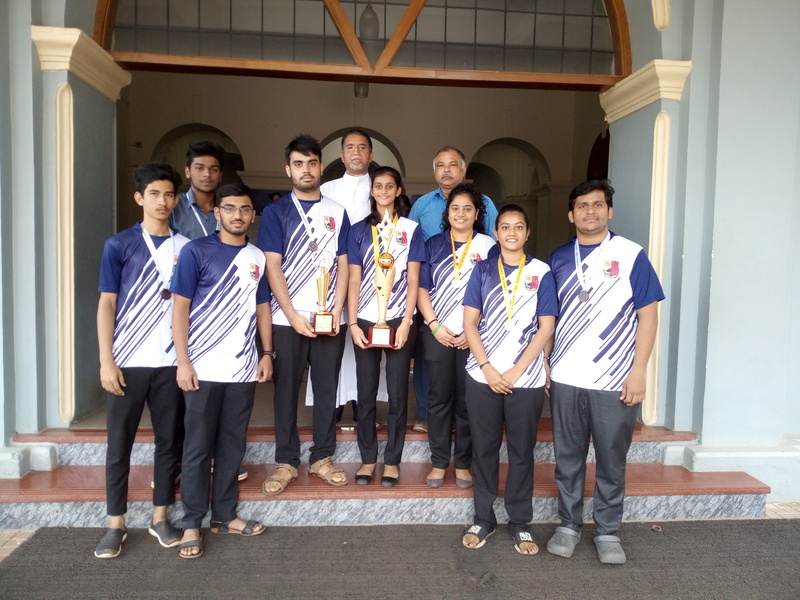 Our Women Badminton Team won the Championship and Men Team won the III Place in the Mangalore University Intercollegiate Badminton Tournament organised by Canara College, Mangaluru from 27 to 29 August 2018. 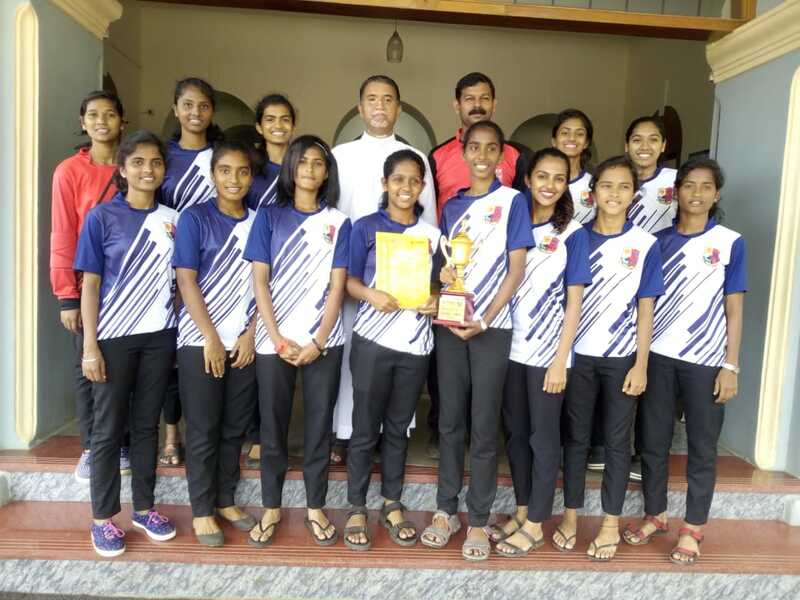 Our Women Football Team represented Mangalore Football Club and secured Runnersup in KSFA Football Tournament for Women 2018-19 organised by Karnataka State Football Association held on 22 to 27 August 2018 at Bengaluru. 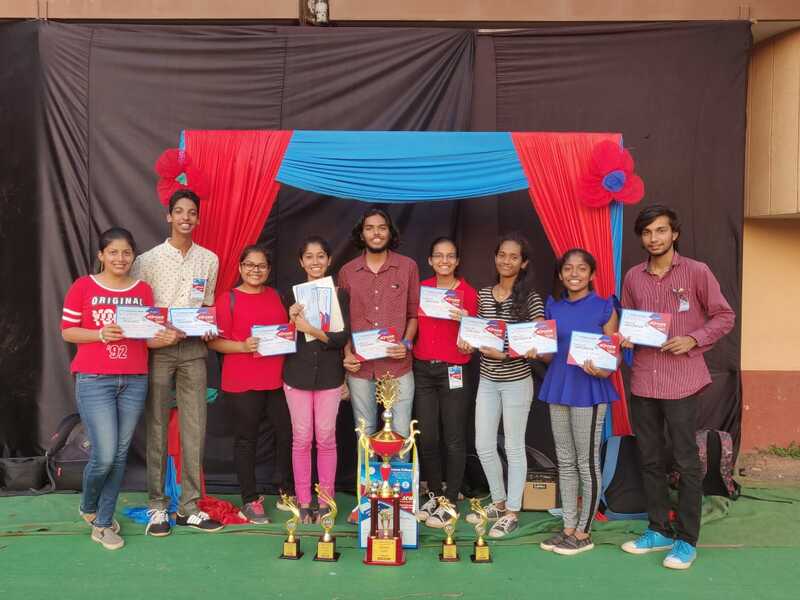 Our Konkani students won the II Place in the Variety Competition orgnaised by Konkani Bhasha Mandal on the eve of Konkani Manyatha Divas on 31 Aug 2018. 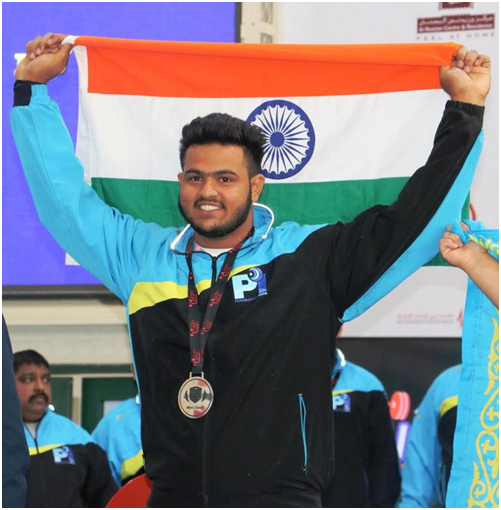 Israr Pasha, II BBA represented India in Asian Bench Press Power Lifting Championship 2018 held at Dubai on 16 to 24 September 2018. He secured two Silver Medals in Equipped and Unequipped Bench-press Power lifting Championship 2018 in junior under 120kgs category. Venezeia Carlo, I B.Com. represented India in Asian Bench Press Power Lifting Championship 2018 held at Dubai on 16 to 24 September 2018. 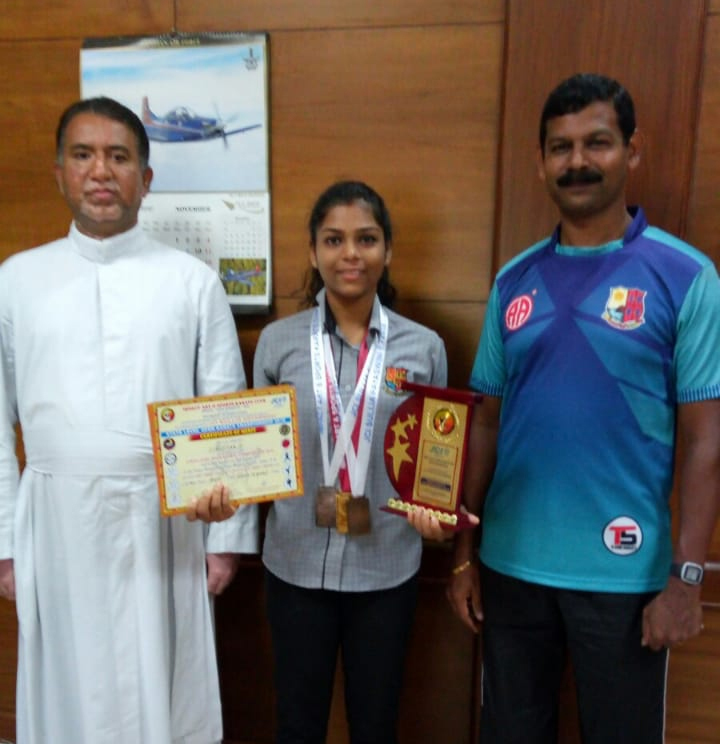 She secured Gold Medal in Sub Junior Unequipped Bench-press and Silver Medal in Equipped Bench-press Power lifting Championship 2018 under 57kgs Sub Junior category. JUO. Sanjay Glenal Quadras, JUO. 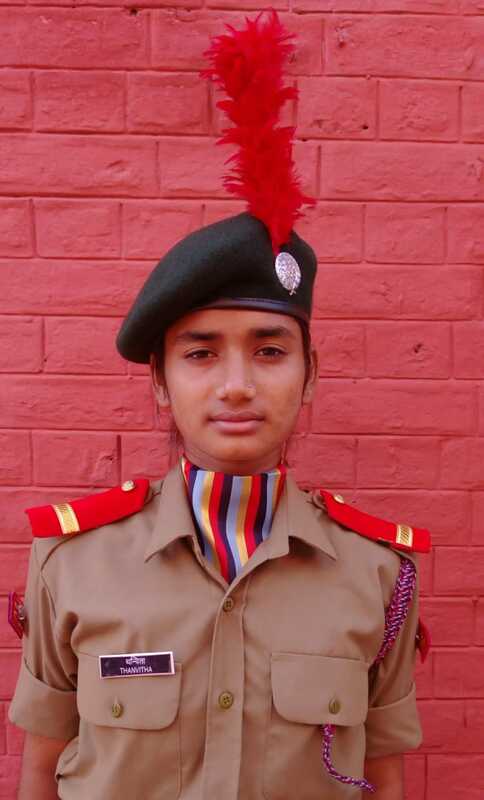 Thanvitha of St Aloysius College (Autonomous) NCC Army wing got selected to the Prestigious Rashtriya Thal Sainik Camp(TSC) which was held at Delhi and other places in India from 27-8-2018 to 28-9-2018. 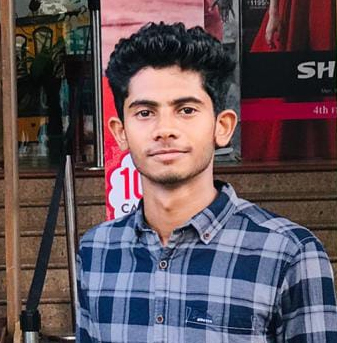 Cdt Sanjay is the only Boy representing Dakshina Kannada out of the 24 boys selected from all over the Karnataka state. Andria L. D'Souza, III B.Sc. won First Place in the Karnataka State Women's Chess Championship organised by Mysore Chess Centre in association with United Karnataka Chess Association and Rotary Club of Mysore East from 30th September to 2nd October 2018 held at Ursu Gymkhana Club, Mysuru. Mahesh Shravan of I B.A. 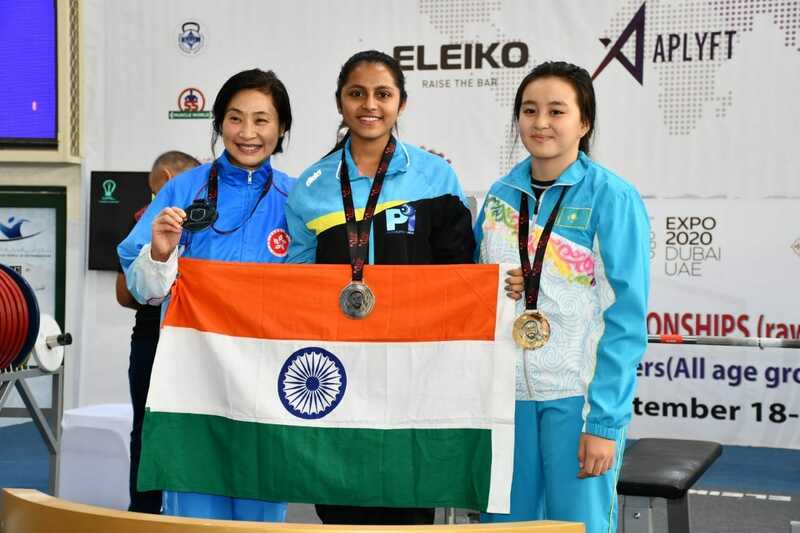 won the Gold Medal in Relay and 3 Silver Medals in 500 mts, 1000 mts and 1500 mts respectively during the Ice Speed Short Track Skating International Championship held at Philippines from 23-29 September 2018. 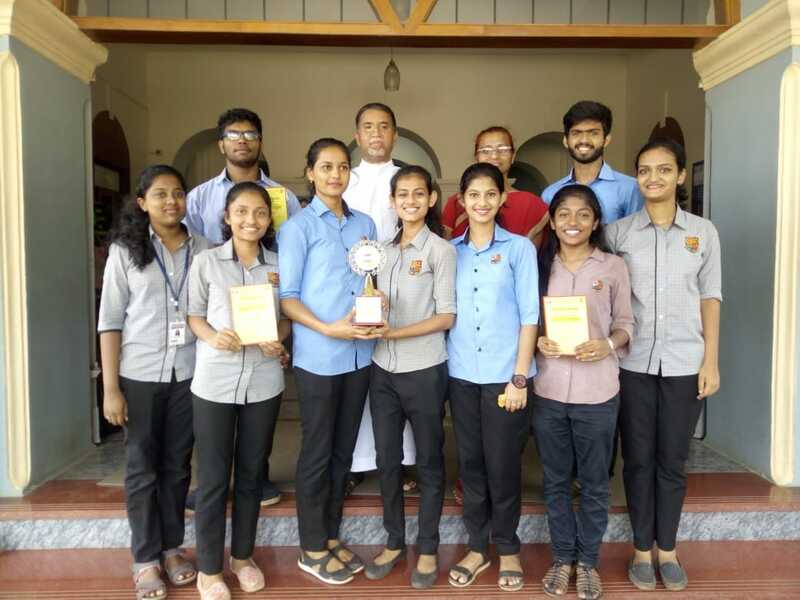 The students of PG department of Journalism and Mass Communication (MAJMC) St Aloysius College (Autonomous) won the National level Quiz which was part of the ‘Beacons’ media fest held at Nitte Institute of Communication Paneer, Deralakatte on the October 5. Duane Thomas D’Souza, Roby George Roy and Michael Jerome Koola were the participants. The quiz was a battle of wits and knowledge between the 23 participating colleges. Niyaz Nijju is a student of II Year B.Voc. (Pharmacuetical Chemistry) at St Aloysius College (Autonomous), Mangaluru. One of his album songs in Malayalam “Olum Njaanum” is viewed by more than 17 million people in YouTube within a period of 6 months. This is the only Malayalam album which crosses 1 million YouTube viewers in just ten days. This is a great achievement indeed! L Cdt Ashika Shetty of St Aloysius College NCC Naval subunit has participated in All India Nav Sainik Camp-2018 at INS Kadamba, Karwar from Oct 14 to Oct 22, 2018. She has won Silver in SW Boat Pulling, Bronze in All India Best Cadet Competition. 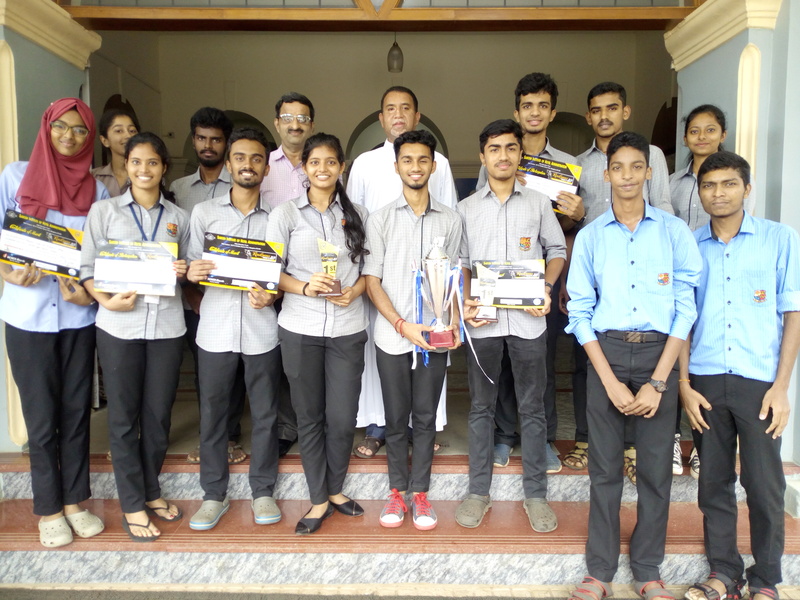 Our BBA Students had participated and secured the Overall Runners up in the Management fest organised by Kannur University on 14-15th November 2018. The won the following events: Quiz - 2nd Place; Best Manager - 2nd Place; Marketing - 1st Place and Best Manager - 2nd Place. Venizia Annie Carlo, I B.Com. secured 2 Gold Medals in the Sub-Junior Equipped and Unequipped National Benchpress Championship which was held in Pune from 14th to 19th November 2018 and selected for the Commonwealth Benchpress Championship which will be held in Canada. Rachael Flora Noronha, I B.Com. secured 2 Silver Medals in the Junior Equipped and Unequipped National Benchpress Championship which was held in Pune from 14th to 19th November 2018 and selected for the Commonwealth Benchpress Championship which will be held in Canada. LIkhitha J., II B.Sc. 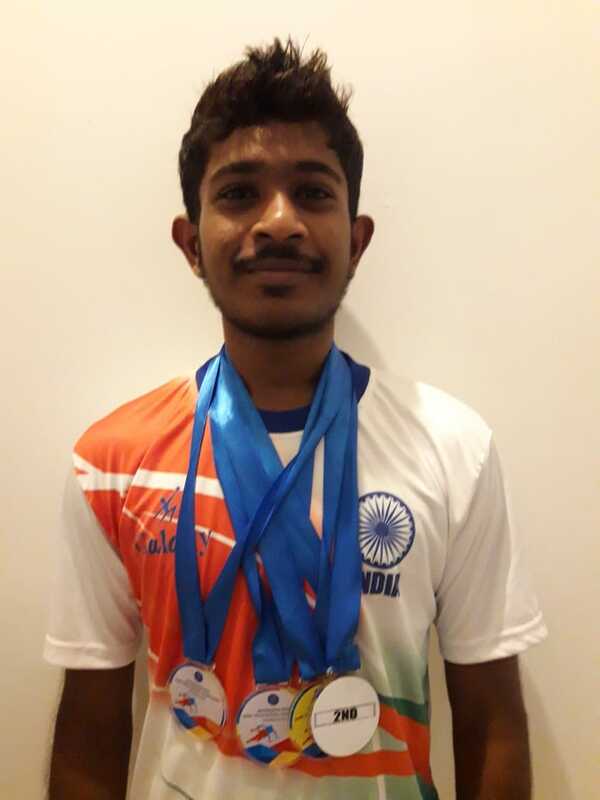 won the Gold Medal in State Level Kumite and two Bronze Medals in Individual Kata and Group Kata respectively in Karate Black Belt Category. This State Level Karate Competition was organised by Sri Durgaparameshwari Kala Mandira, Kerpala, Sullia, D.K. on 24 & 25 November 2018. Siddarth Prakash, III B.Sc. and Pia Simone Menezes, II B.Sc. 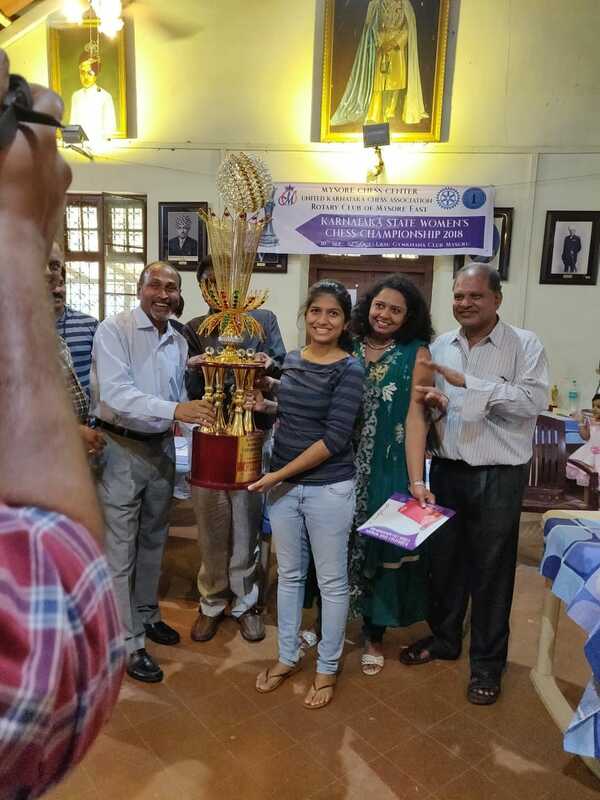 won III Prize and has been awarded “Sahyadri Young Ecoligist” respectively in Poster Presentation and Paper Presentation in LAKE Conference held at Alva’s College, Moodbidri which was organized in association with IISc, Bengaluru in November 2018. 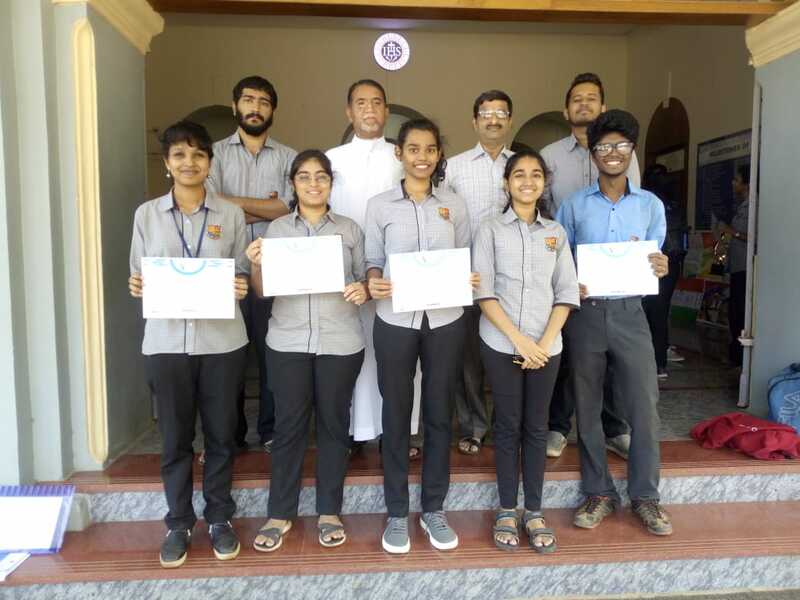 Our students won the following events in the cultural and literary state level event "VISAGES 2K18" organised by St Joseph's College Bengaluru on the 13th and 14th of December 2018. 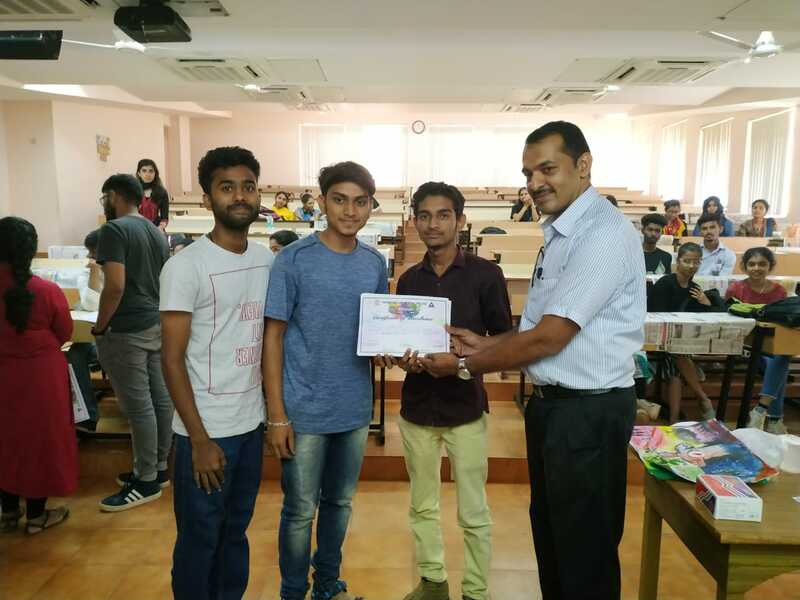 HACKATHON - I Place: Amruth Rodrigues II BC, Russell Mathias II BSc, Nidhish Bolar, I BCA ; Face painting II Place - Renella Lanessa Andrade III BBA, Aaron D’Souza, II BBA; Junk Art - III place: Adik Jayan, II BBA, Sadrush Mallar, II BBA, Aishwarya R, II BBA; Extempore - I Place: Russell - II BSc; Face painting - III place: Dale DSouza- I BBA, Nasreen, I BBA. 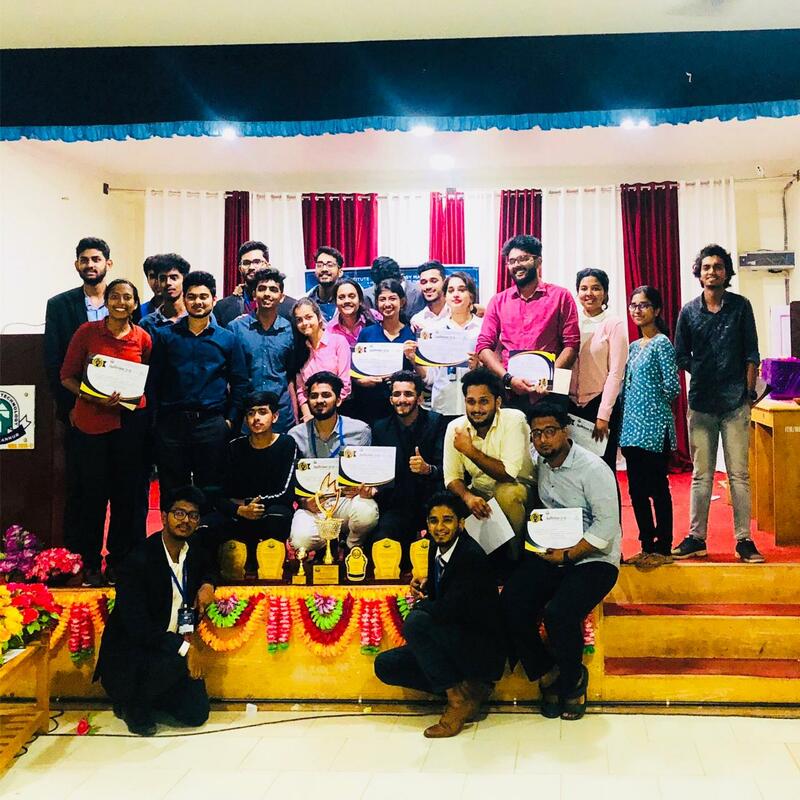 The students of Business Administration were the Overall winners in the AUDACIOUS Fest conducted by ITM, Kannur, which was a post graduate level fest held on 19 & 20 December 2018. 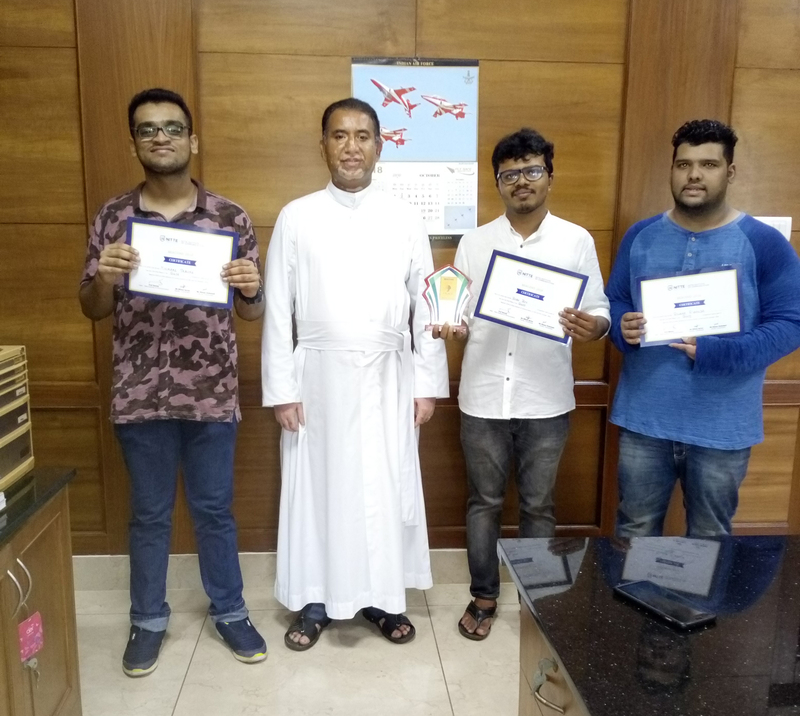 Our Commerce students won the I Place in the Carol Singing Competition held at St Agnes Centre for Postgraduate Studies and Research on 21 Dec 2018. 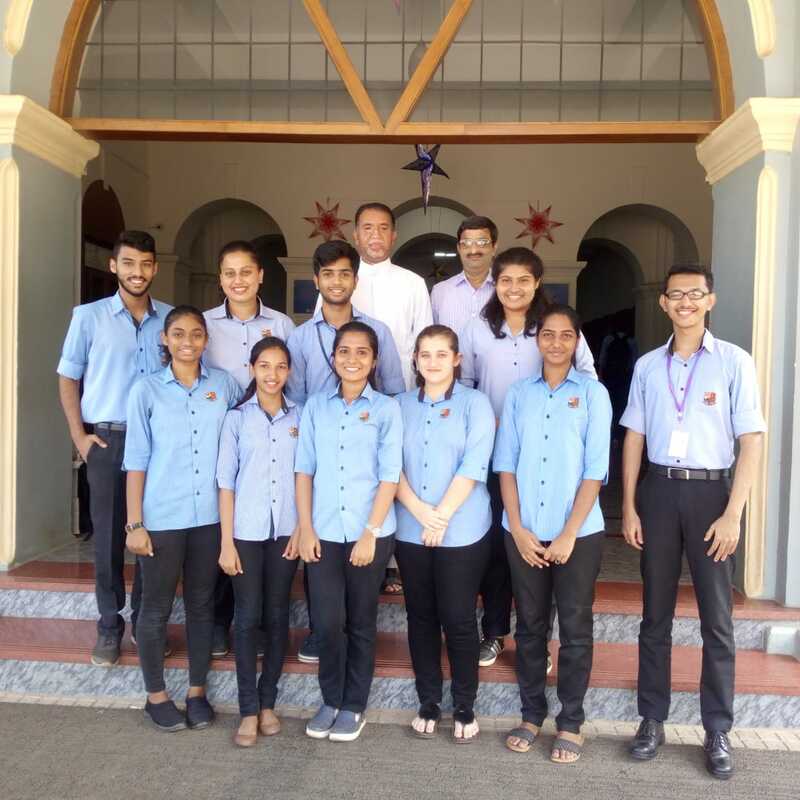 Our Science students won the III Place in the Carol Singing Competition held at St Agnes Centre for Postgraduate Studies and Research on 21 Dec 2018. 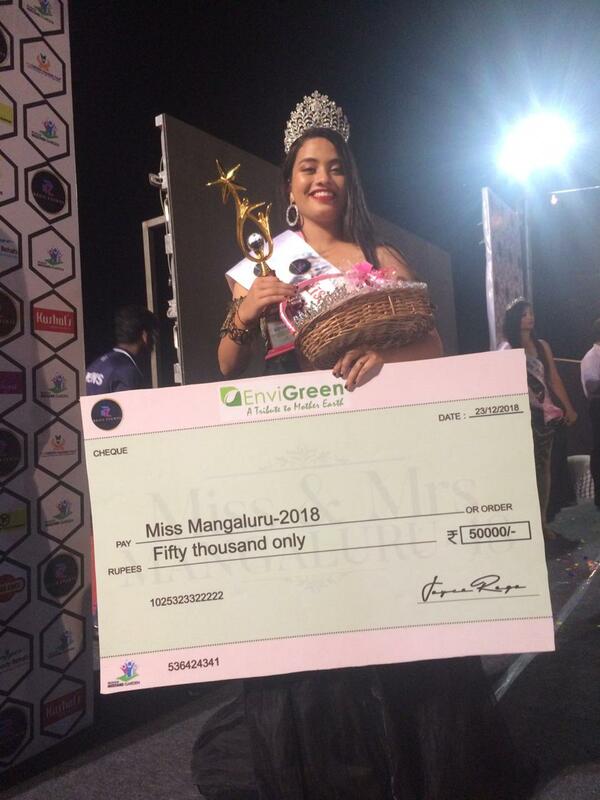 St Aloysius College student, Amanda Lobo, II BCom was awarded as MISS MANGALORE 2018. 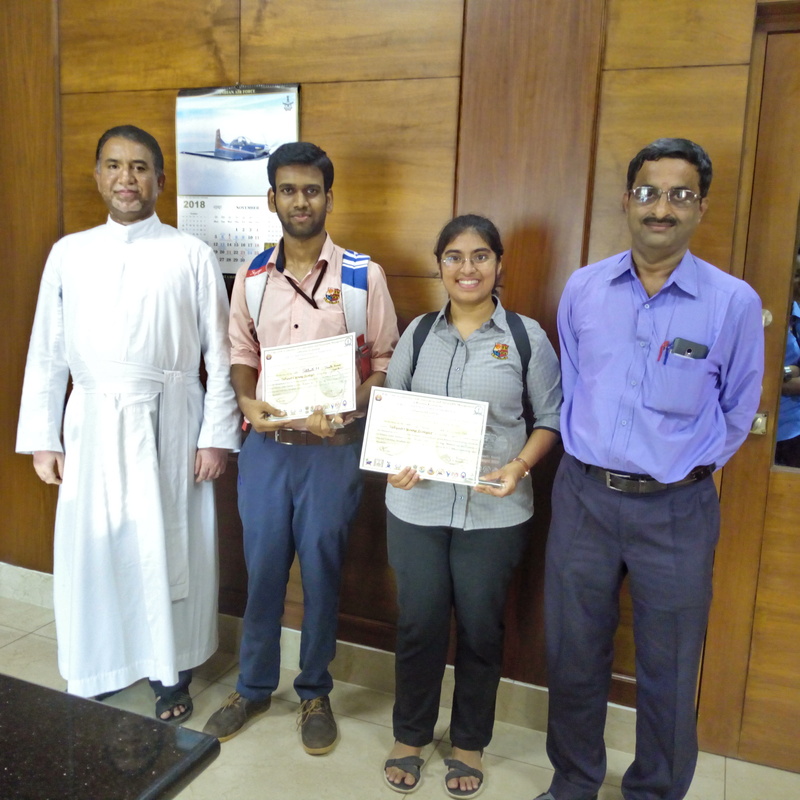 Merwyn Pinto (II BSc) & Shwetha Vas (II BA) won the Nach Nara Nach Nari competition organised by Daijiworld TV. Our students got third prize in Mahabharata Quiz programme held at Town Hall, Mangalore organised by Yakshagana academy Bangalore in association with Kannada Sanskriti Ilakhe, D.K., Mangalore. The following students were the Team Members: Anwith G Kumar, BA, Shreya. BSc, Sameeksha BCA. 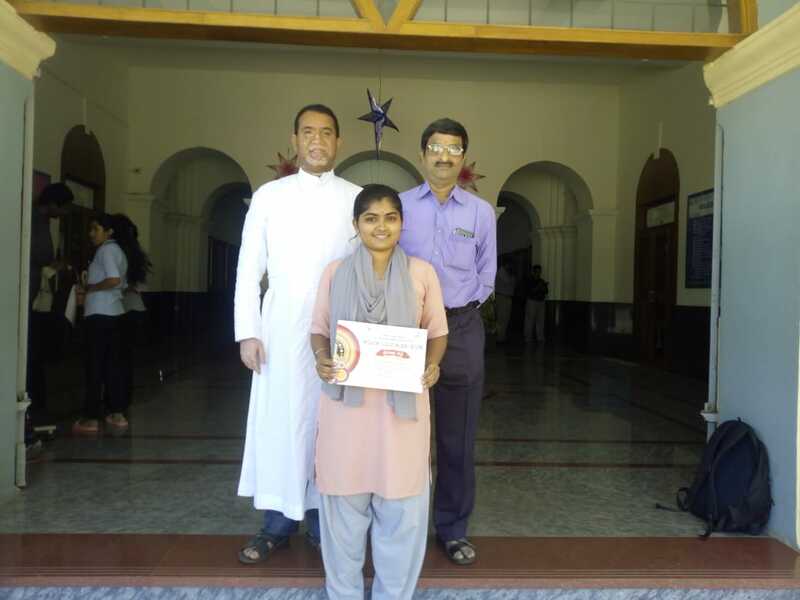 Manasa, III BSc won the I Place in Light Music Singing held during Karavali Yuva Utsav competitions. 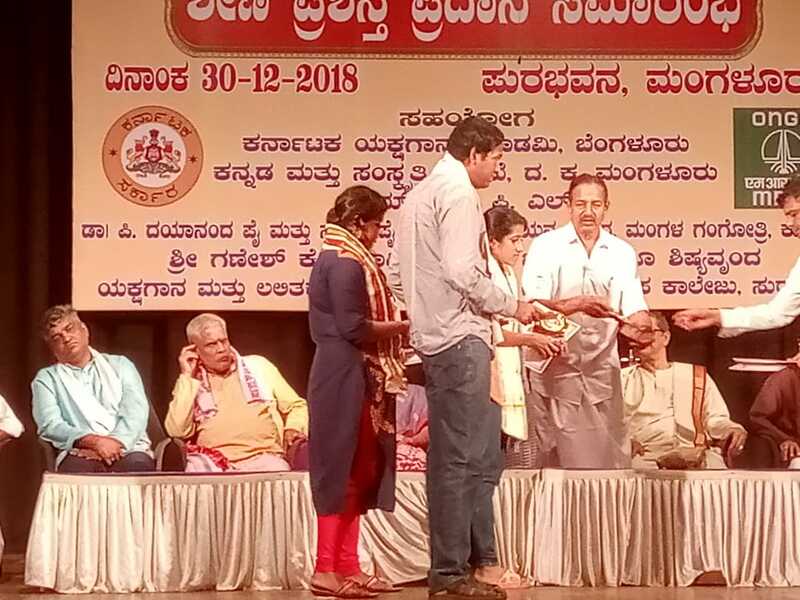 Gaurav G Kottari, II BSc & Vaishnavi B, I BSc won the II Place in the Yakshagana Yugala Nruthya competition held during Karavali Yuva Utsav program. In all India Essay writing event 2018 organised by Shri Ram Chandra Mission United Nations Information Centre and the Heartfulnes Education Trust, our students won the following prizes in various categories: Yashaswi , First B.C.A, B secured 5th place in state level Kannada Essay. 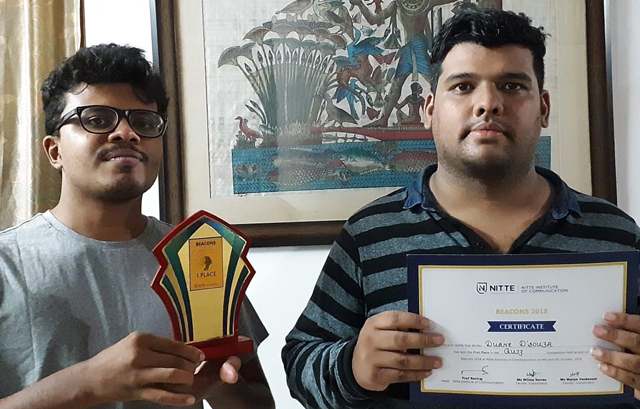 Vijay Nambiar from III BCom had won best screenplay award for his short film “Pointless” in “Spectrum 2018”, a student film making competition conducted by St Agnes College ion 15 January 2019. 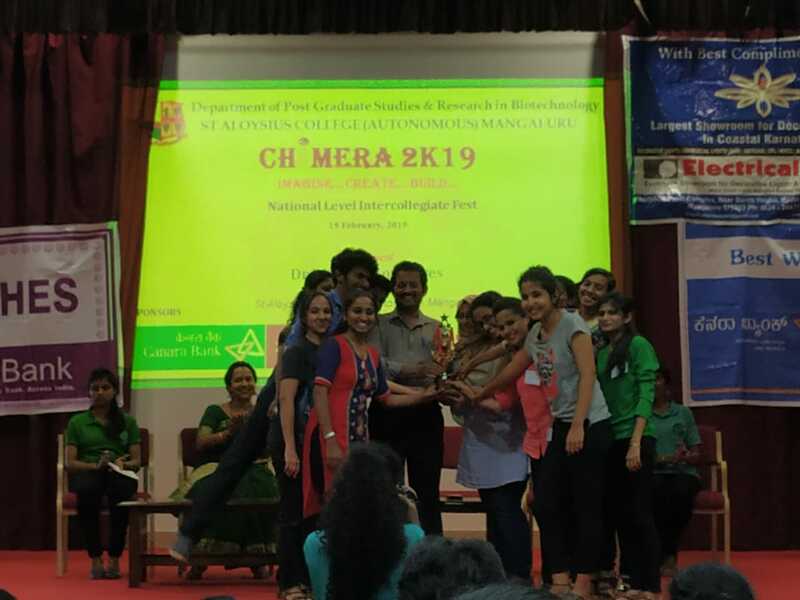 Our students won second overall championship in intercollegiate fest "Lasya" held at Jain university Bangalore on 19.1.2019. Nisha Fernandes II BA secured I Place in Eastern Singing Solo; Manjunath Shetty, II Bsc and Aleena M Jose, III Bsc secured II Place in Duet Singing, Valezeena D'souza, III B.sc. and Viyola Lavita Lobo, I BSc, Sumanth kotian, II B.Com., Aleena M Jose, III BSc, Savia Dsouza, III B.Sc., Manjunath shetty, II B.Sc. 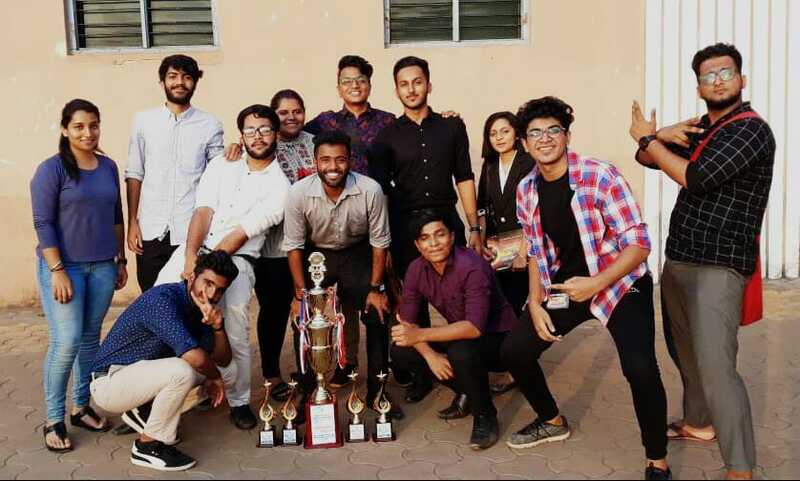 Samarth Prabhu, II B.Com., Crishal Raveena D'souza, III B.Sc., Nishah, II BA, Amrith, III BCA won II Place in Eastern group singing and secured Overall Championship. The following students of our college participated in the intercollegiate competitions PRAVEGA - Science Fest organized by IISc, Bengaluru. Pis Simone Menezes, Caldrida P. Dsouza, Eldriena DSilva, Viona Pinto, Savin L DSouza. Russell Mathias, II BSc and Adarsh Thomas, I BSc. 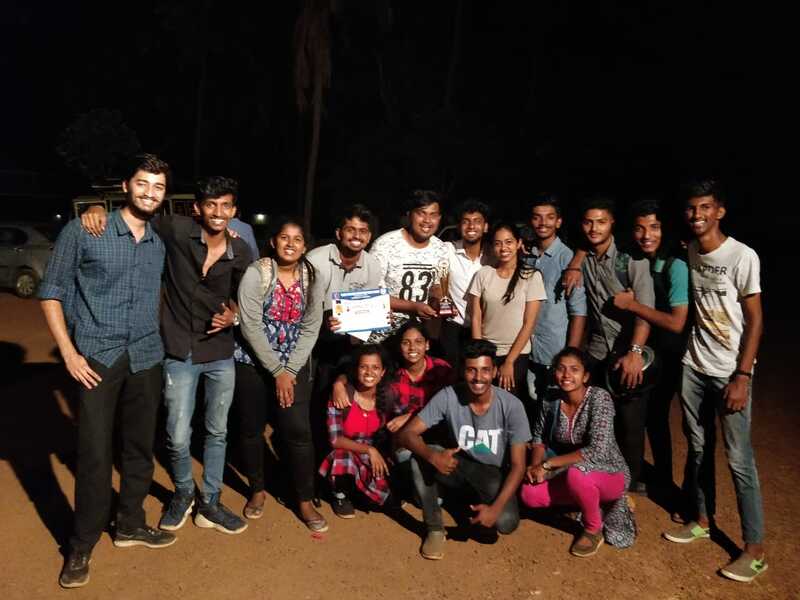 Our BCA students won the Overall Championship once again this year making it the 13th consecutive year of winning the overalls trophy in Sygma 2K19 held 24 January 2019 at SDM college, Mangalore. Abhilash III BCA and Amruth II BCA secured I Place in IT Quiz; Alwyn II BCA secured I Place in IT Manager and Asif Ahmed, II BCA secured I Place in Paper Presentation. 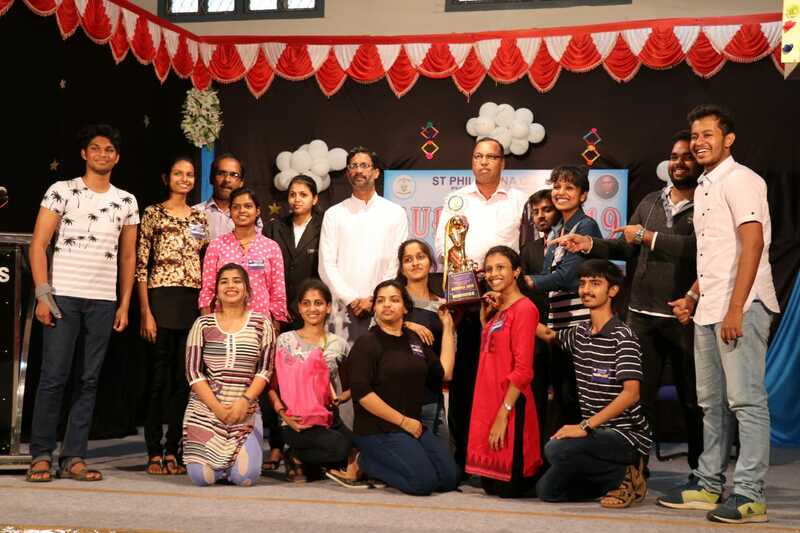 Students of II B.Com won the Best Skit Award in the Intercollegiate Variety Cultural Competition "Samruddhi" which was held at Shree Niranjana Swamy First Grade College, Bajpe on 29th January, 2019. 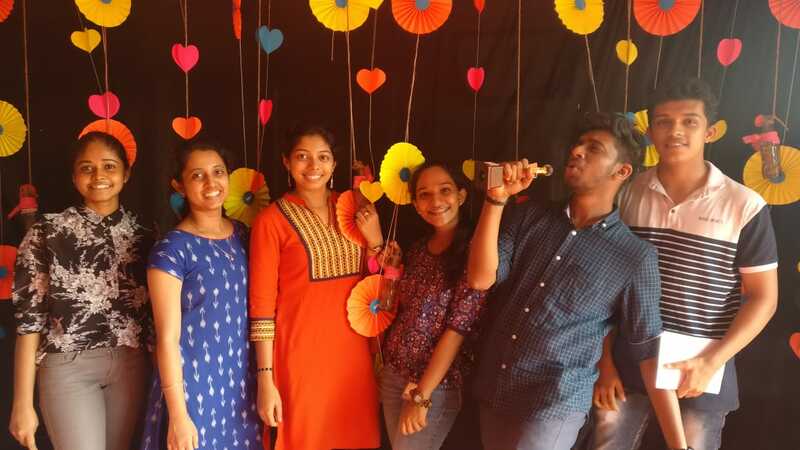 The participants were: Rayan noronha, B S Shreyas rai, Vidya Vinitha Veigas K., Joseline Mascarenhas, Pooja, Pranitha V Uchil, Devikrishna A., Akshatha Rao, Rohan R Pinto, Abhishek somana C., Joyston Santhosh, Dsilva, Daniel Lobo, Denzil Dinu Dsouza, Reevan Errol Dsouza, Pooja GS, Basty Ananth, Ponnana, Kiran GS and Anola Yaffa Lobo. 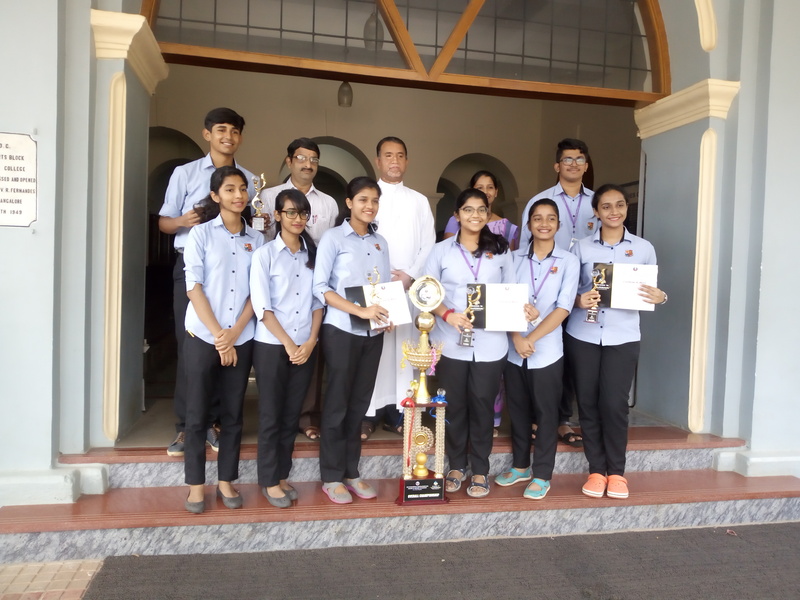 Our students won the Overall Championship in the Aurora Science Fest held on 02.02.2019 at St Philomena College, Puttur. Amitha, Tanushka, Caldrida, June and Dipthi of II B.Sc. won the I Place in ‘Abhineetha’. Princita and Reshma Rocco, II B.Sc. won the I Place in ‘Botanic Rangoli’. Vimilda, II B.Sc. won the I Place in ‘Nemesis’; Mahim, I B.Sc. and Aneesh, III B.Sc. won the I Place in ‘Etymology’; Caldrida, II B.Sc. won the I Place in ‘Polemic’; June, II B.Com. and Dipthi, III B.Com. won the I Place in ‘Math Event’. Savin, II B.Sc. and Sidharth, I B.Sc. won the II Place in ‘Quiz’. 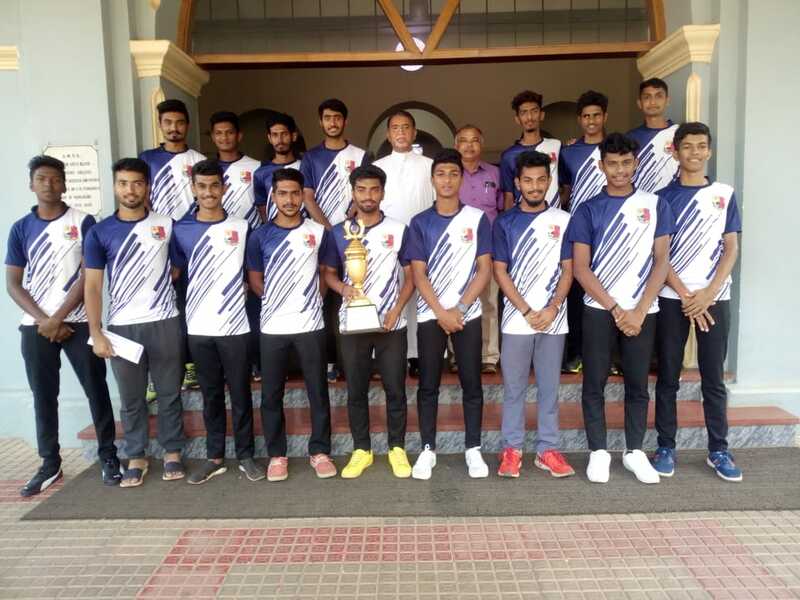 Our College Men Hockey Team were the Runners Up in the Mangalore University Intercollegiate Hockey Tournament held at Cauvery College, Gonokoppal on 28 & 29 January 2019. Our BCA Students won the III Prize with a cash of Rs. 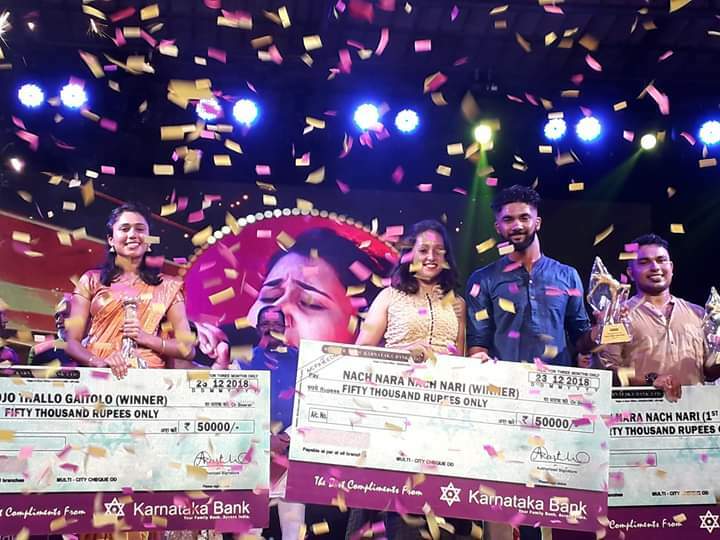 5,000/- in Placard Competition during the Walkathon Competition organised by Mangalore Institute of Oncology on 4,2,2019. 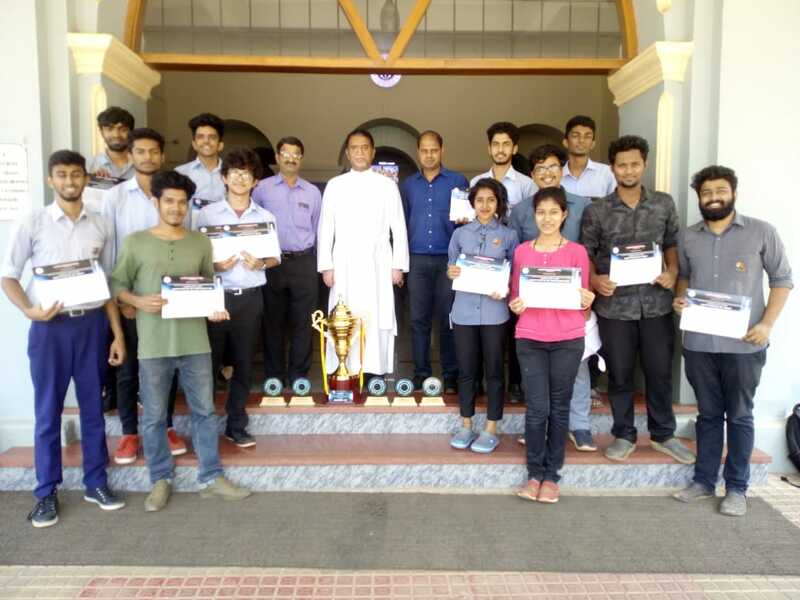 The following BBA students won the Overall Championship in the Intercollegiate Fest ‘Padua Verve 2019 held on 13th February 2019. 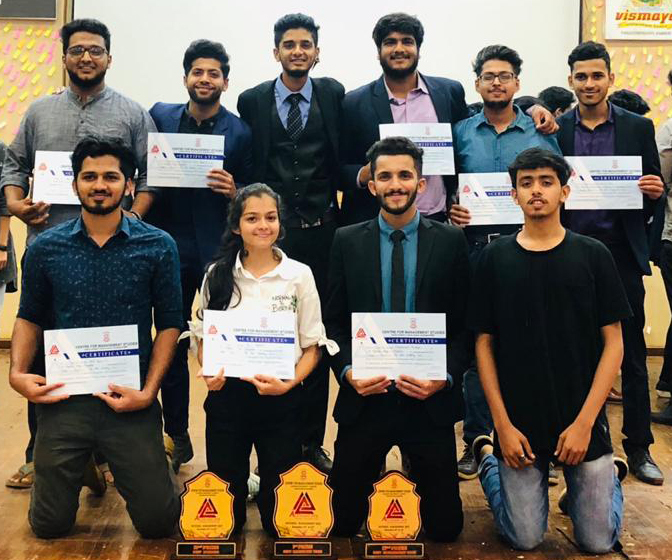 Tabish, II BBA won the II Place in Mock Press; Hanan, III BBA and Ingrid, II BBA won the I Place in Quiz; Roshan Santhosh, III BBA won the Best Manager, Heshwal, I BBA, Dexter, Aaron, Tabish, Owais, Kevin, Abdulla, II BBA, Renella, III BBA won the I Place in Ice Braking. 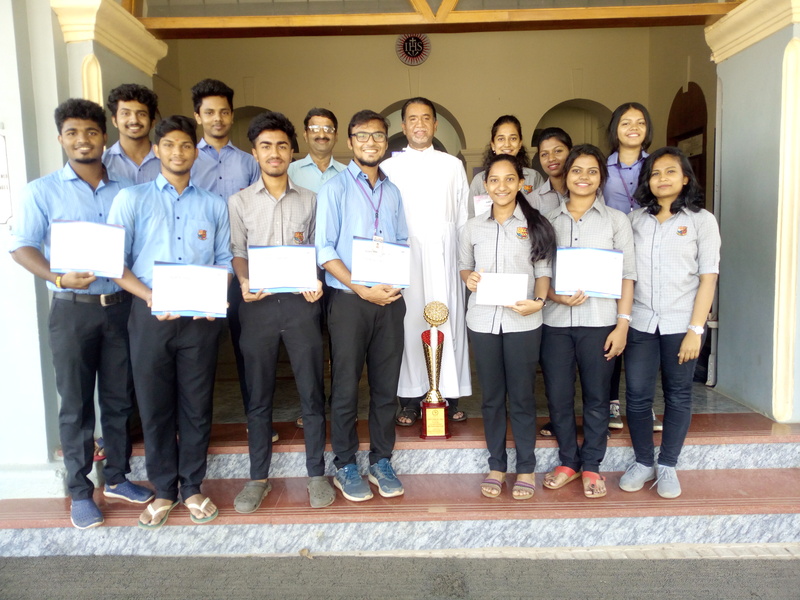 The following students won the prizes in intercollegiate fest ‘Phoenix 2019’ organized by St Philomena's College, Puttur on 14th Feb. 2019. Venzil, III BSc won the II Place in Varna (Painting); Manasa & Nayana, II B.Sc. won the II Place in Robot (Working Model); Olinda, Rishabh, Manasa, Nayana of II B.Sc. ; Venzil, III B.Sc. and Alan, I BSc won the II Place in Ice Breakers. 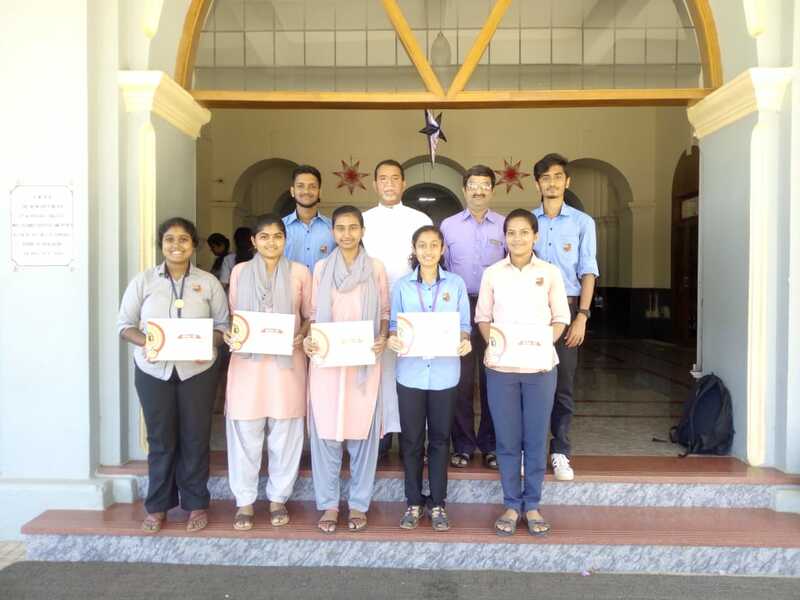 The following students were the Overall Runnersup in Udaan Fest conducted by Besant Women's College on 14 & 15 Feb. 2019. Pruthvi Shinde- 161118, Ashok Sequeira – 171132, Viola D'souza- 172431 won the 1st place in Costume Designing. 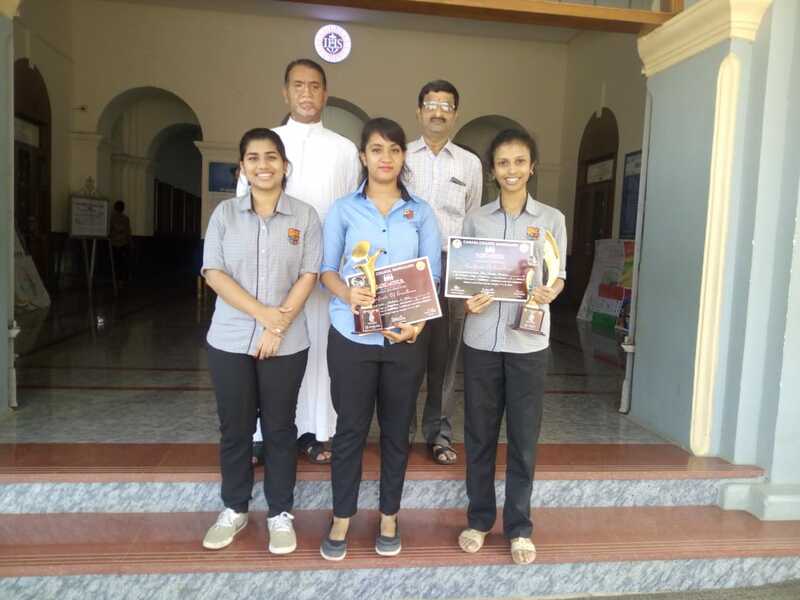 Jyotsna Joseph 183483 won the I Place in Best CEO, Rachel Priyanka Furtado, 171158 won the II Place in Singing, Riya Monteiro -181258 Melnitha twinkle Correa -181244 won the II Place in News Bulletin. 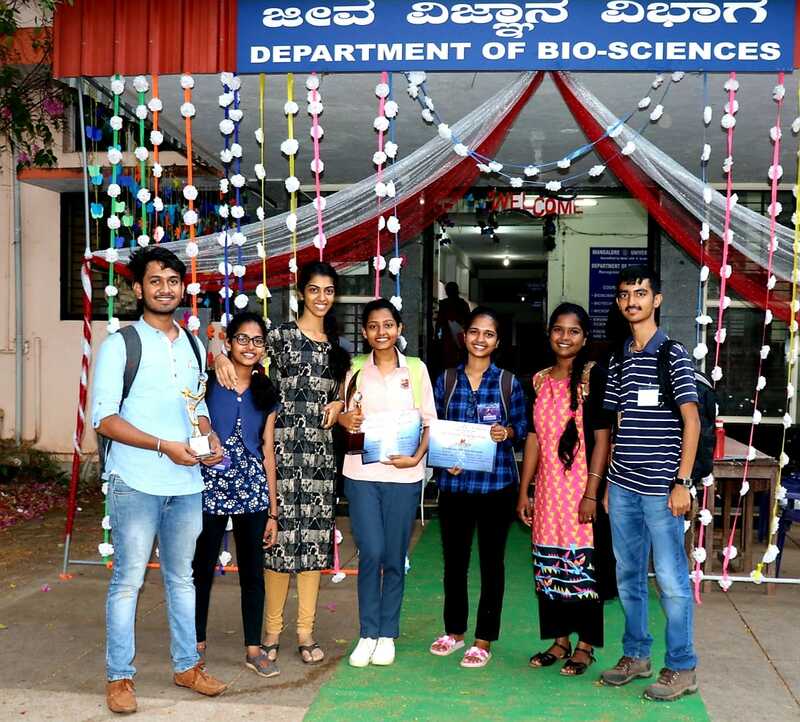 The following students won the prizes in Biosynergy 2019 organized by Mangalore University on 15th February 2019. Valezeena D'souza-3rd B.Sc 162854 won the I Place in Impulse (Seminar interaction). Valezeena D'Souza-3rd B.Sc 162854 and Yasheela Flora Rasquinha-3rd B.Sc 162883, Emilin Zacharias-3rd B.Sc. (162844), Frashal D'mello-3rd B.Sc. (162847), Susha D-3rd B.Sc. (162834), Mahim B -1st B.Sc. (182820), Pallavi Prabhu-2nd B.Sc(172812)won the II Place in Jumpstart (ice breaker). 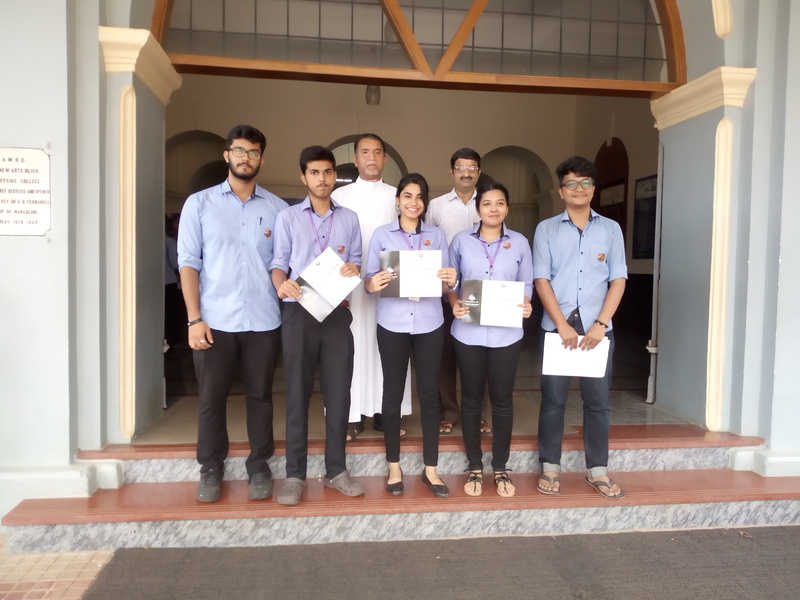 The following Chemistry students participated in "CHIMERA 2k19" conducted by the Department of PG Biotechnology of our college and won the Runners Up trophy and the following prizes: Namitha, II B.Sc. CMZ, won the I Place in Creative Writing, Ajay, I PCM won the I Place in Photography, Ratan and Saichakith, II B.Sc. CMZ won the III Place in Quiz. 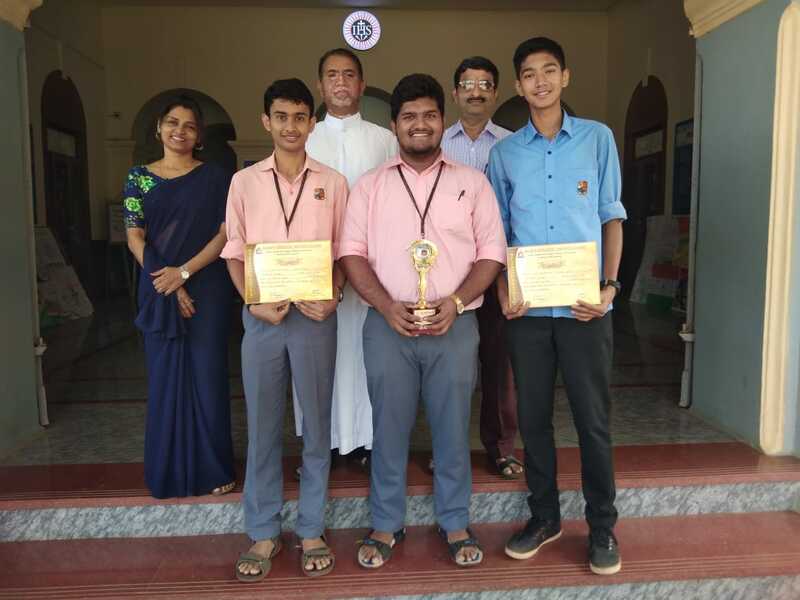 Our students won overall championship in English Fest Al-fresco held at St. Philomena's College Putter on 20.2.2019. 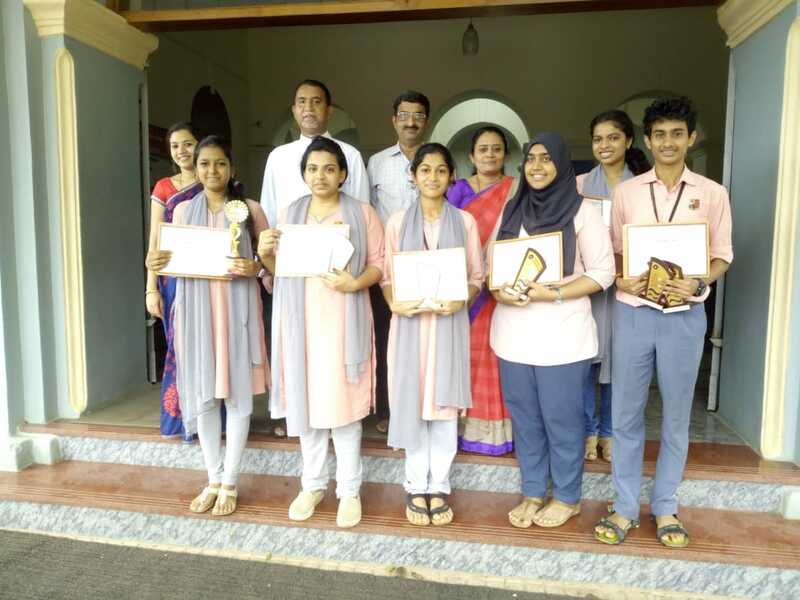 Anushree Bhat, II BA secured I Place in Paper Presentation, Aparna and Lavita II BA secured II Place in News Telecasting, Nicole, Rachel, Iola, Savio, Nishit and Prajwal, II BA secured II Place in Western Concert and secured Overall Championship. 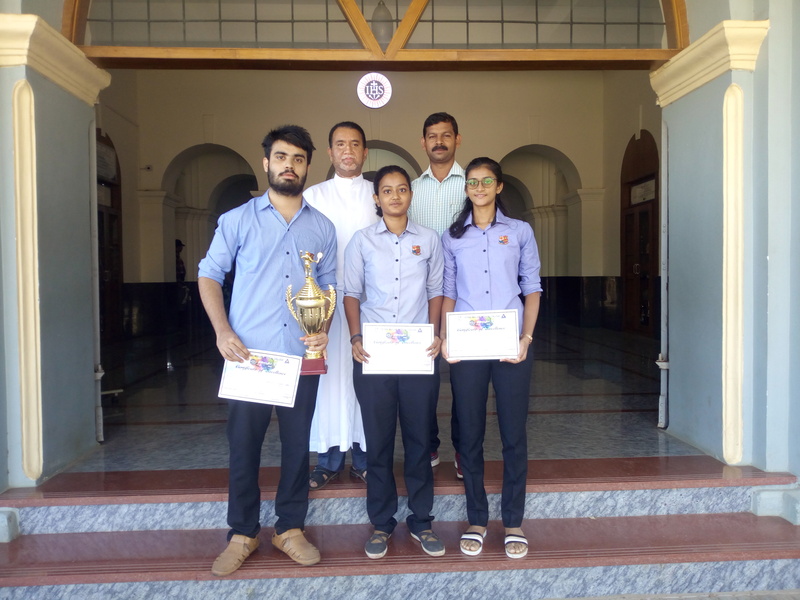 The following students won 1st place in ART RELAY event at ADRENALINE 2019 held at Father Muller medical College, Mangalore. Suhas kiran- 3rd BSc - Biotech, Karthik KR - III BSc- ECsM, Rixon D'Souza, III BCom. 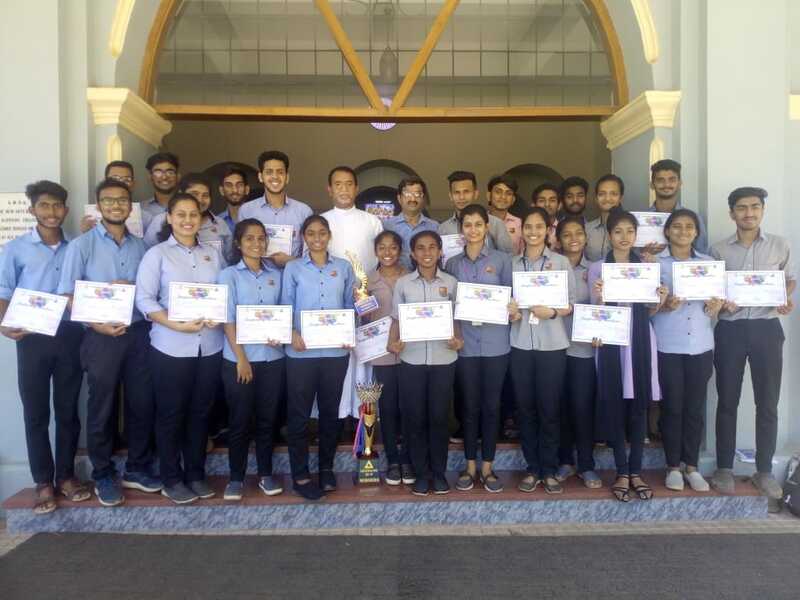 Our students secured Overall Championship in ADRENALINE 2019 Intercollegiate fest organized by Fr Muller Medical College, Mangaluru. The following 4 Cadets of our college promoted for higher ranks after their 'B' Certificate Exam. 1. Kuljeeth Singh, CWO, 2. Pratham KB, FC/SGT, 3. 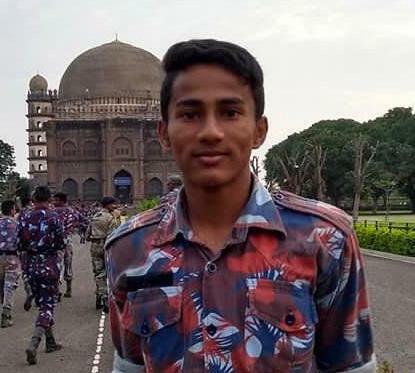 Vibhan Harish Amin, FC/SGT, 4. Bhoomika MH, FC/CPL. Principal, Rev. 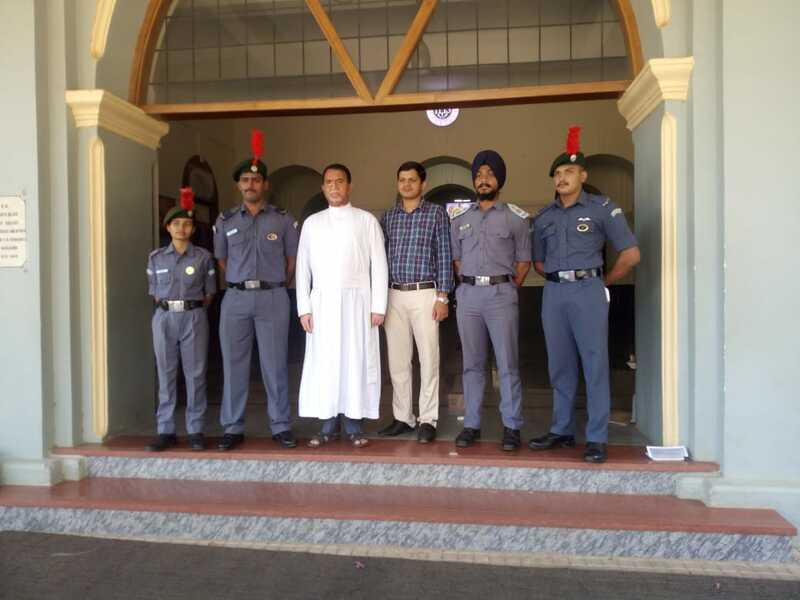 Dr Praveen Martis SJ gave away the awards to the Cadets. 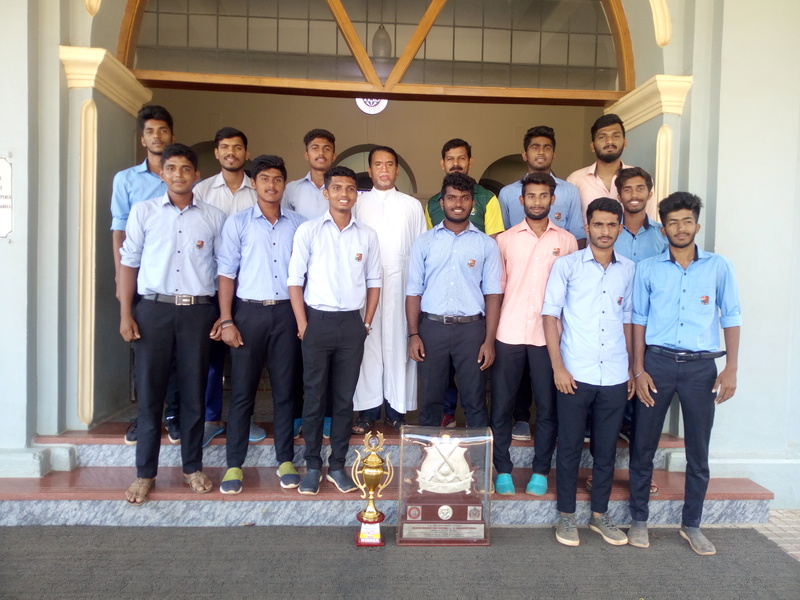 Our Cricket Team won the Runners Up Trophy in the Mangalore University Intercollegiate Cricket Tournament for Men (Mangalore Zone) which was organised by University Evening College, Mangaluru on 25 February 2019. 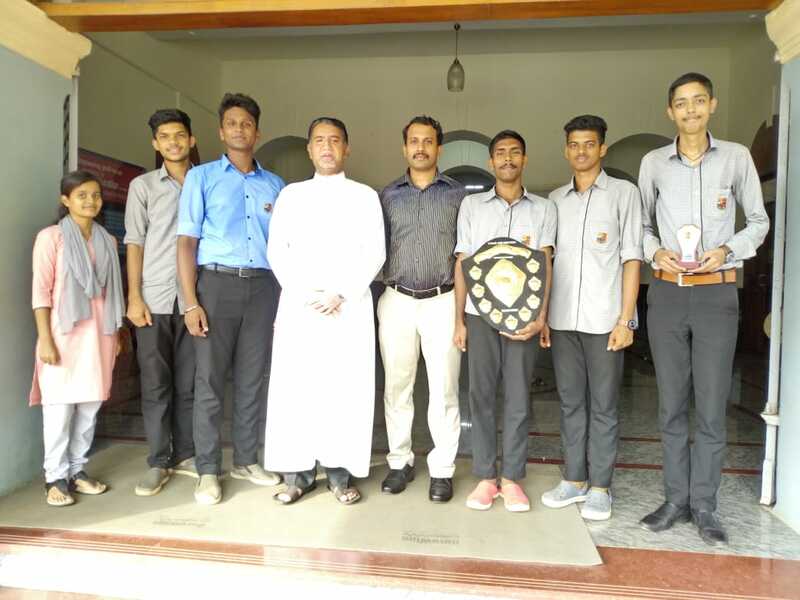 Our Men Softball Team were the Winners in the Mangalore University Intercollegiate Softball Tournament for Men organised by St Aloysius College (Autonomous), Mangaluru on 21st & 22nd February 2019. 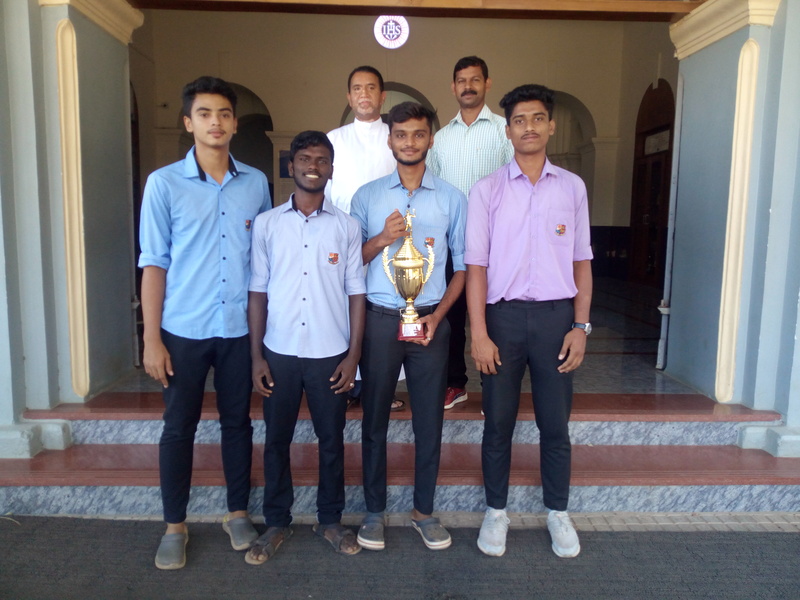 Our Men Volleyball Team were the Winners in the 'Adrenaline' Intercollegiate Volleyball Tournament for Men, organised by Fr Muller Medical College, Mangaluru on 18th to 21st February 2019. 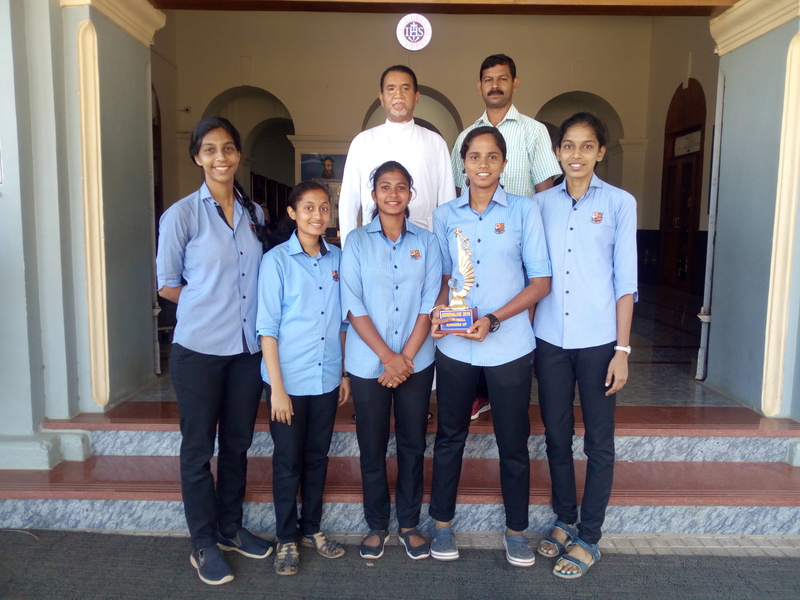 Our Women Volleyball Team were the Winners in the 'Adrenaline' Intercollegiate Volleyball Tournament for Men, organised by Fr Muller Medical College, Mangaluru on 18th to 21st February 2019. Venkatesh Rao, II BBA won the I Place in Men Badminton Singles in the 'Adrenaline' Intercollegiate Badminton Tournament for Men and Nidhishree, I BBA won the I Place in Women Badminton Singles and Hemoshree, I B.Com. 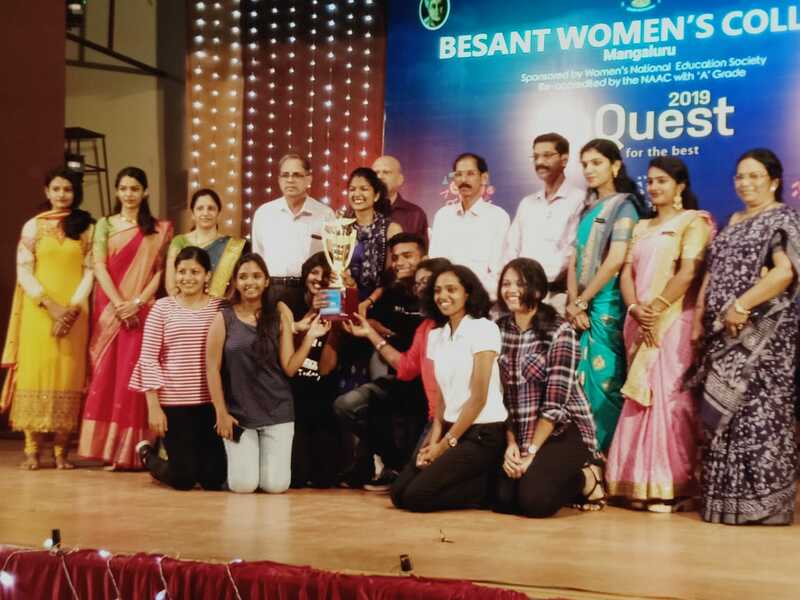 and Nidhishree, I BBA won the I Place in Women Badminton Doubles organised by Fr Muller Medical College, Mangaluru on 18th to 21st February 2019. 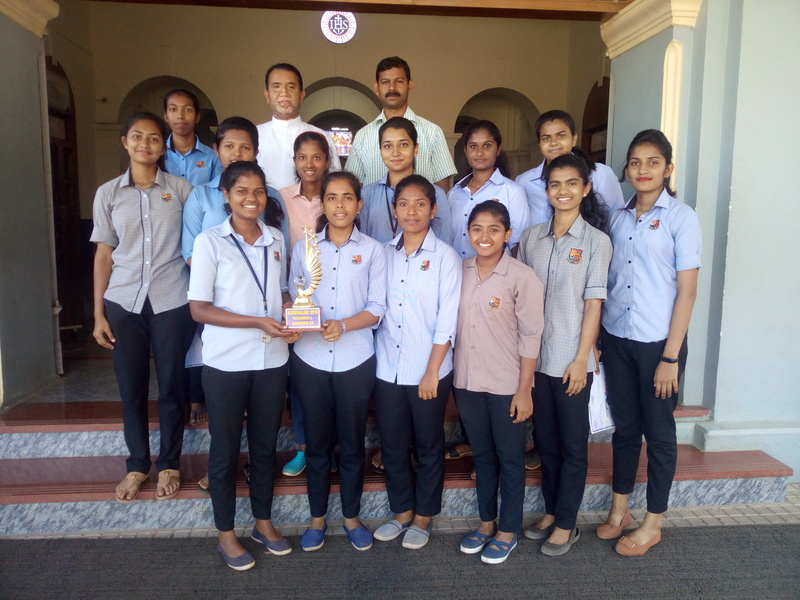 Our Women Throwball Team secured the Runners Up Trophy in 'Adrenaline' Intercollegiate Throwball Tournament for Women organised by Fr Muller Medical College, Mangaluru on 18th to 21st February 2019. 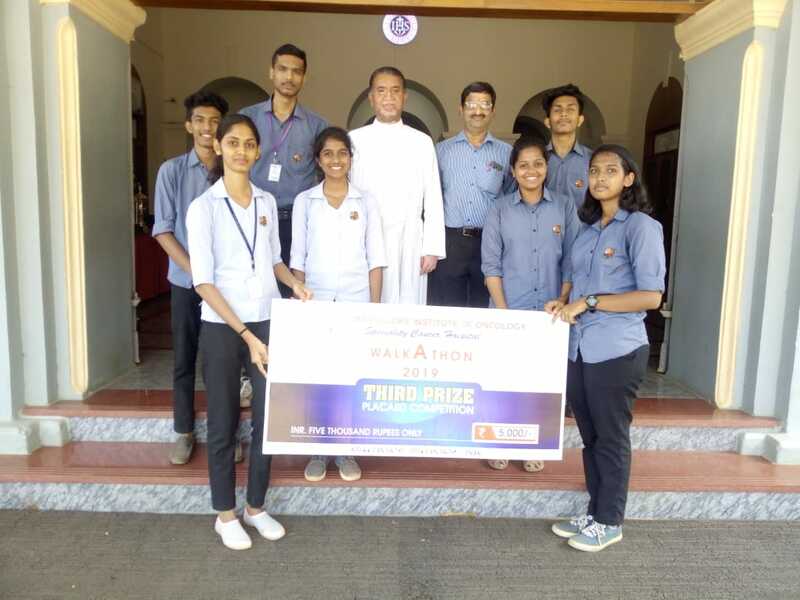 Our students won the Overall Runnersup in the intercollegiate IT Fest ‘Technotronics 2019’ organized by DMS College, Goa on 6th & 7th March 2019. Allwyn secured II Place in Webd, Edwin secured I Place in Photography, Edwin and Prayag secured I Place in Virtuality, Mousuf and Rayner secured I Place in Dr Debug and II Place in Android Builder, Alvaro secured II Place in Model Making and Webd, Romy secured I Place in Eagle Eye and Animation, Vaishali secured II Place in Model Making and Justin secured I Place in Vlog. Group events : II Place in Groupfie and I Place in Ice Breaker. 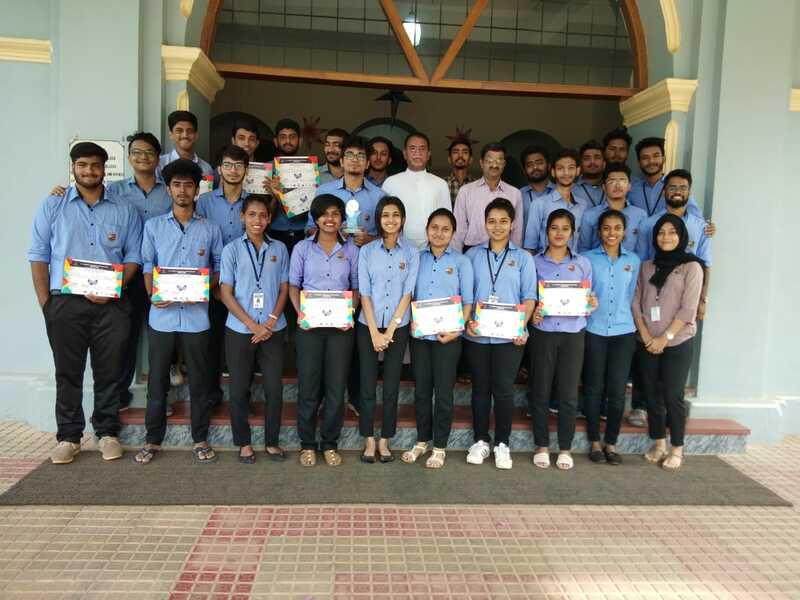 Our students were the Overall Runnersup in the intercollegiate fest AJIET – AAKAR – 2K19 organised by AJ Institute of Engineering and Technology, Mangaluru on 9th March 2019. 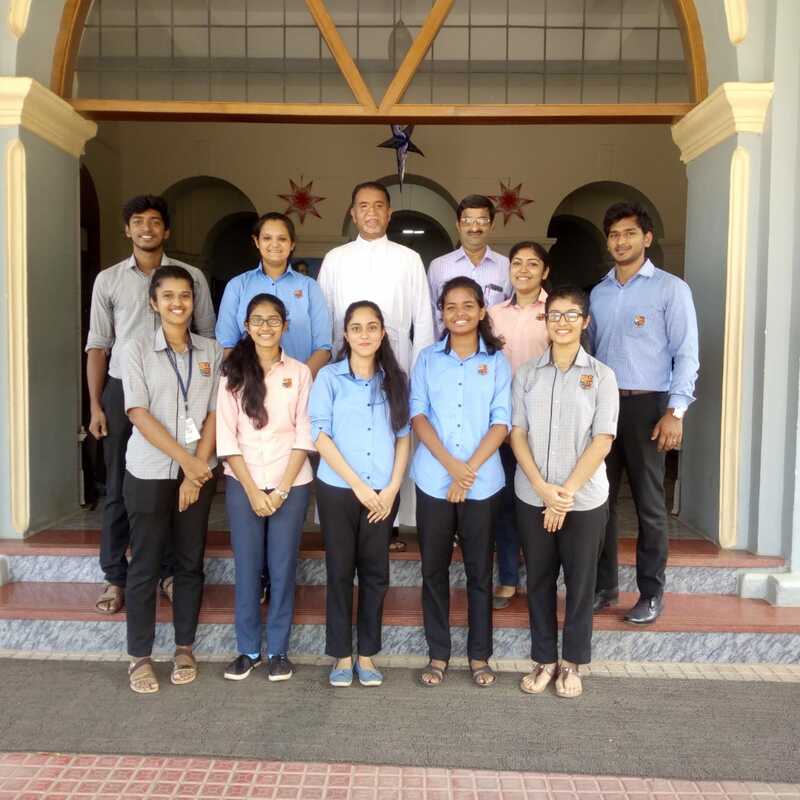 The participants were: Reynard Lobo, Russell Mathias, Shamanth, Mayur, Rixon, Karthik, Vinayak, Jain Syriac, Savin, Sidharth, Vaishnavi Nayak, Shri Gauri K N, Olinda Fernandes, Shruthi, Swaroop, Pavan, Ashley, Relston, Devika, Sannidhi. 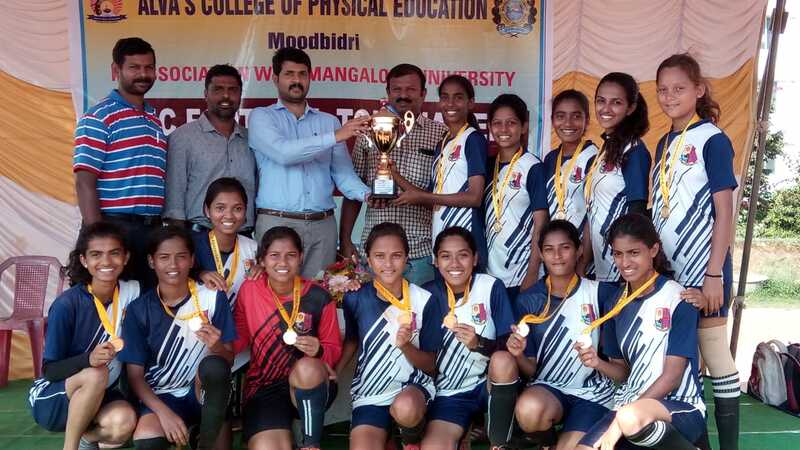 Our Women Football Team were the Champions of Mangalore University Intercollegiate Football Tournament for Women 2018 -19 held at Alva's College of Physical Education, Moodbidri on 14 March 2019.